Stefan is a huge fan of all things pasta. And I am not. When it comes to eating grains I am team bread and rice. But he would eat pasta a few times the week if it wasn’t for me. But sometimes only sometimes I get a weird craving for a giant plate of Italian Pesto Pasta Salad. And when I need a quick and easy fix for dinner which leaves me also with enough leftovers to cover lunch this recipe is clearly the winner in my books. I’ve brought this salad also to BBQ parties and it’s always been a huge success. When you count a totally cleared out bowl as success. And I love that this Italian Pesto Pasta Salad takes you no more than 15 minutes + time to let the flavors infuse. 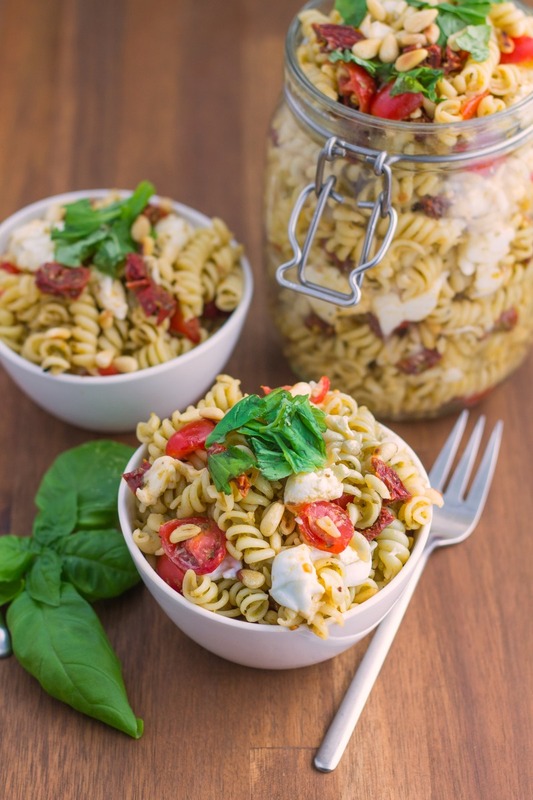 A quick and easy pasta salad that is whipped up in only 15 minutes and carries all the lovely Italian flavors. The creamy cheese and the crunchy seeds make this salad a texture lover's dream! 1 cup mozzarella, teared apart with the hands - seriously don'r cut it! 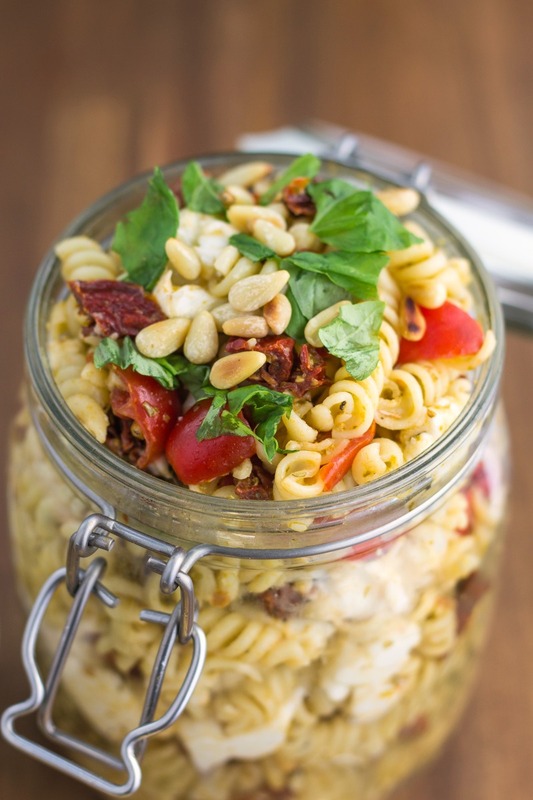 Stored in an airthight container in the fridge the pasta salad will be good up to three days. Now I am doing nothing! Yeah you heard right. I am doing absolutely nothing. It’s a public holiday in Germany and it’s already noon and I am still wearing my pajamas.